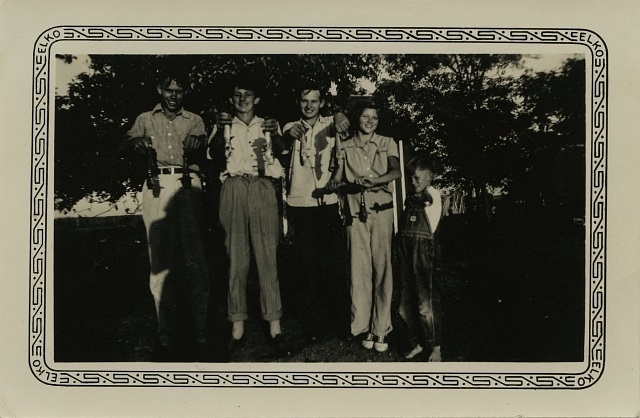 From verso of photograph: "Joe G., Tony, Barney, Theresa, and Johnnie." From Seldom Disappointed: "The author displaying skill at holding fish closer to camera to augment size. Left to right: cousin Joe Grove, the author, Barney, and cousins Monica and Johnnie Grove."